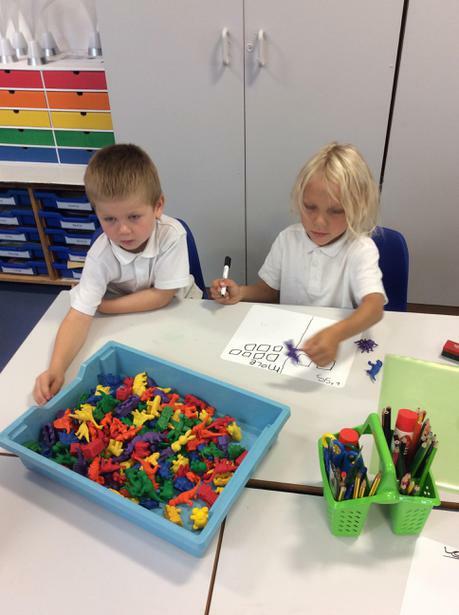 Over two weeks we have been learning about 2D and 3D shapes. We started by learning all about 3D shapes. 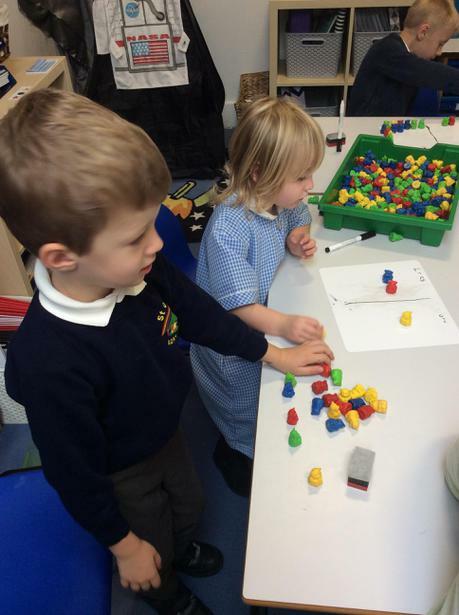 Some of us went off around school to find different objects that matched the 3D shapes. We found lots of objects! 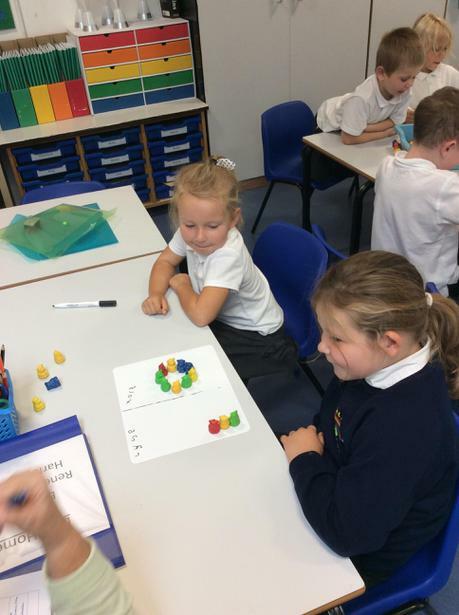 We decided to sort the shapes into groups to find ones that were the same. 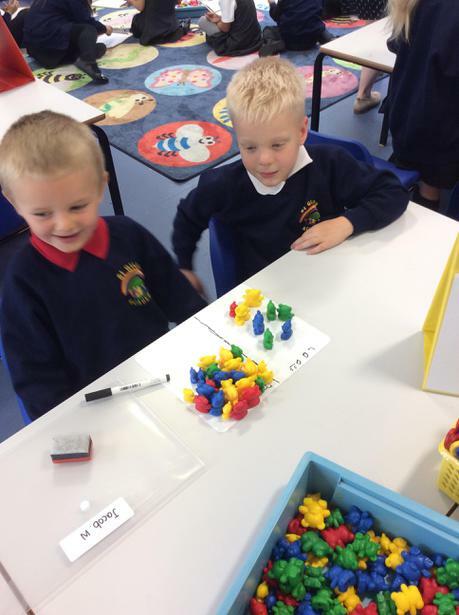 We sorted them into cubes, cuboids, cylinders and spheres. Then we looked at patterns using the 3D shapes. We found it a little tricky to make sure the shapes were the correct orientation but it was lots of fun trying! Once we got the hang of 3D shapes, we started looking at 2D. We identified the four shapes that we need to know; square, triangle, circle and rectangle. 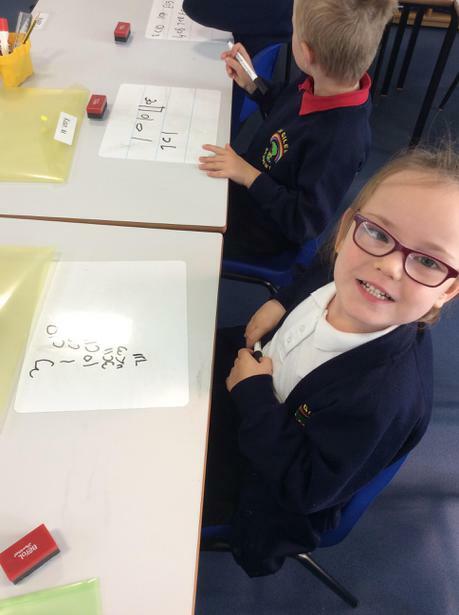 We are still finding it tricky to remember rectangles! 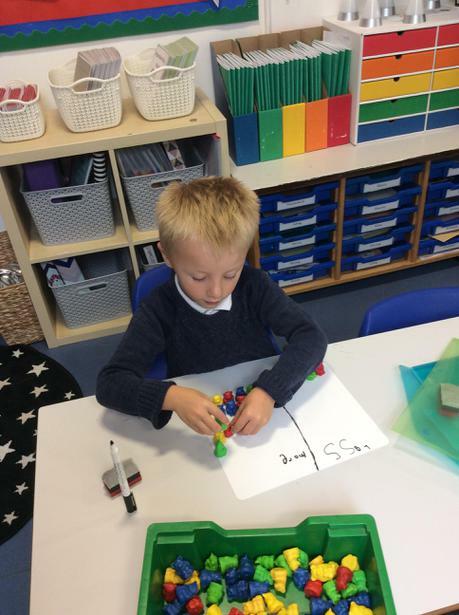 After naming, sorting and grouping them we looked at creating patterns with them. We even tried problem solving by finding the incorrect shape and correcting the pattern underneath! 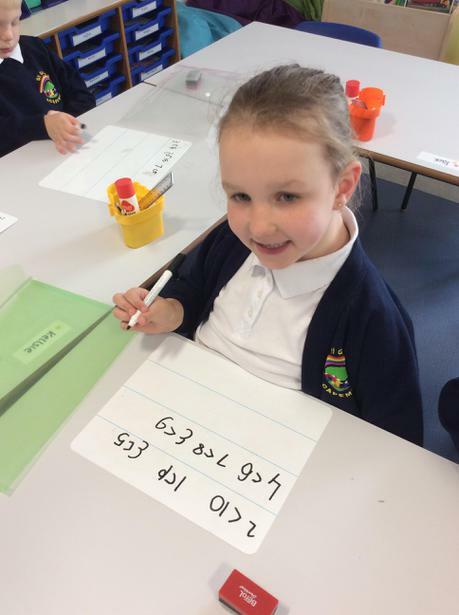 We have been learning how to work out whether a number is more or less than another number. We started by using cubes and sorting objects to show more and less with a partner. Then we started to look at the symbols < (less than) and > (greater than) to show our understanding. 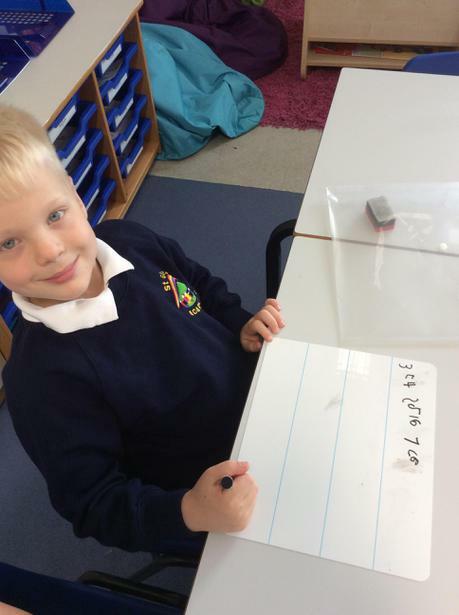 It's very tricky to write the symbols but we are trying very hard!